Connect your USB Key purchased from us to your 4K television. The Inside Passage video is photographed in HD and configured at 1920 x 1080 pixels and is compressed in H.265. This Video format is only playable in recent (2014 or newer) smart TV's with a fast USB port. To play the USB videos, you need to plug in your USB key to the USB port on the TV or into USB extension cord you purchased from us. You will also have to open the video application that runs natively on your TV and select either the "Narrated" or "Music only" files on the USB. 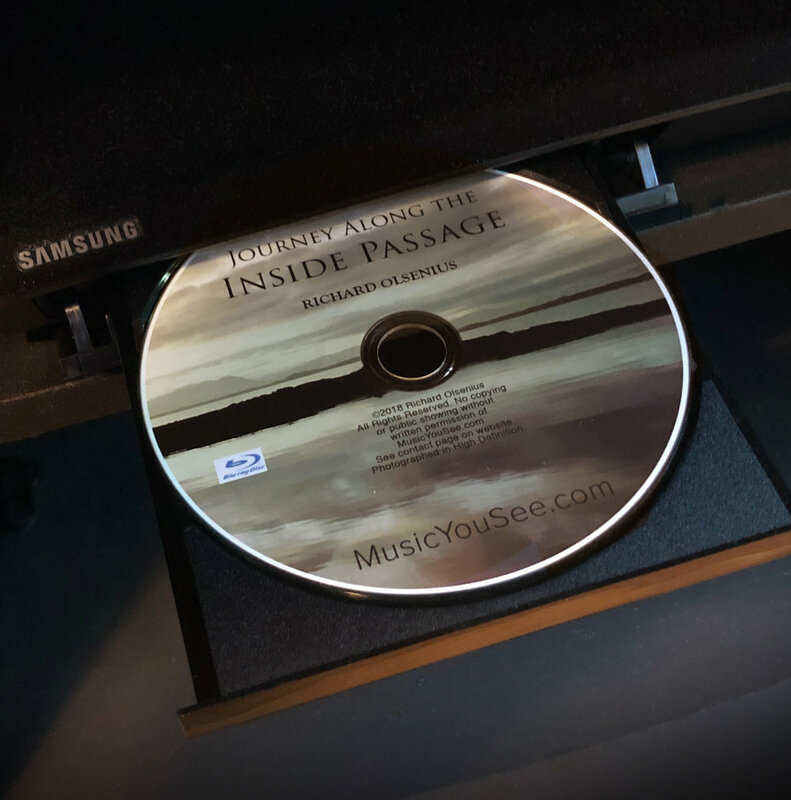 The Inside Passage Blu-ray is HD video formatted at 1920 x 1080 pixels, and playable only on a recent Blu-ray player or UHD Blu-ray player connected to your HD or 4K TV. The best connection for your Blu-ray player is by HDMI cable and in some cases the only way to link your Blu-ray player to your newer TV. Data Rate - 25 mbps max. Length - 32 min. narrated, 32 min. music only.